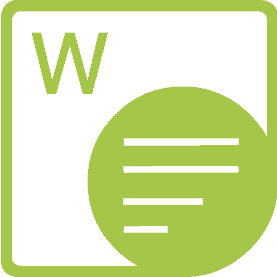 Export reports to Word and HTML formats from JasperReports and JasperServer. Aspose.Words for JasperReports is the only solution on the market that makes it possible to export reports from JasperReports and JasperServer to Microsoft Word document (DOC), Office Open XML (OOXML, DOCX), Rich Text Format (RTF), OpenDocument Text (ODT), Web page (HTML) and plain text (TXT) formats without using Microsoft Word. All report features with the highest degree of precision can be converted to Microsoft Word file. The features of Aspose.Words for JasperReports. Aspose.Words for JasperReports supports J2SE, JasperReports and JasperServer. Aspose.Words for JasperReports supports the most popular Word processing, text and web file formats. Aspose.Words for JasperReports allows you to export reports as DOC and DOCX documents from JasperReports and JasperServer. As compared to RTF, these formats offer a number of advantages such as smaller file size, increased content formatting and ease of editing by end users.  In addition to the Microsoft Word formats, Aspose.Words for JasperReports offers the ability to export the reports in RTF, ODT, HTML and TXT formats. 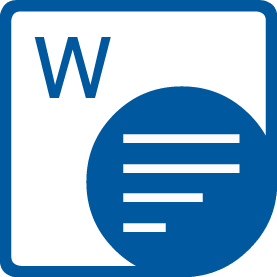 Aspose.Words for JasperReports exports the reports to Microsoft Word documents in such a way that the result appear identical to the original report design as produced by the built-in JasperReports report designer. All report features are converted to the highest degree of precision to make Microsoft Word documents look as close to the original design as possible. Aspose.Words for JasperReports exports flow layout documents. This means documents consist of "normal" paragraphs, tables and images that are easy to further edit in Microsoft Word, if necessary. The built in JasperReports RTF exporter produces documents consisting of positioned text frames, that makes editing by end users a less intuitive task. Aspose.Words for JasperReports is built using managed code that never needs Microsoft Word to be installed on the machine to work with Word document formats. It is a perfect Microsoft Word automation alternative in terms of supported features, security, stability, scalability, speed and price.